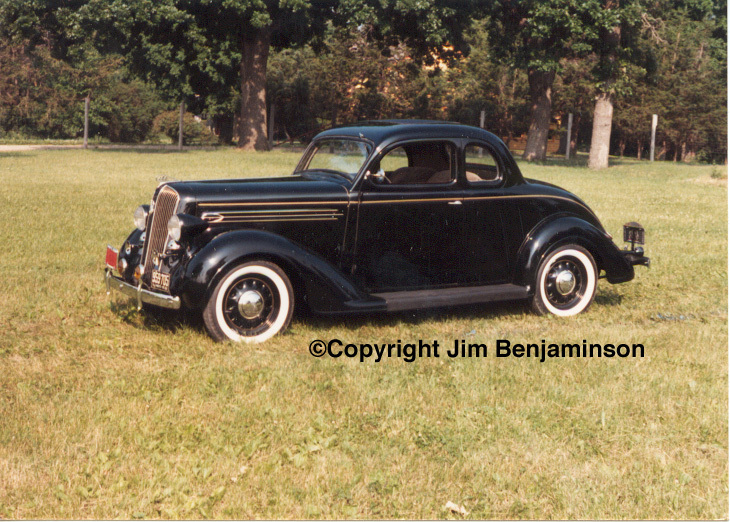 Unless otherwise noted, specifications are from [Chrysler 1975] and serial numbers are from [Chrysler 1973]. Engine numbers, price, model production and weights are from [Kimes 1996]. Production dates are from [benj 2007]. P-1 fastback model. 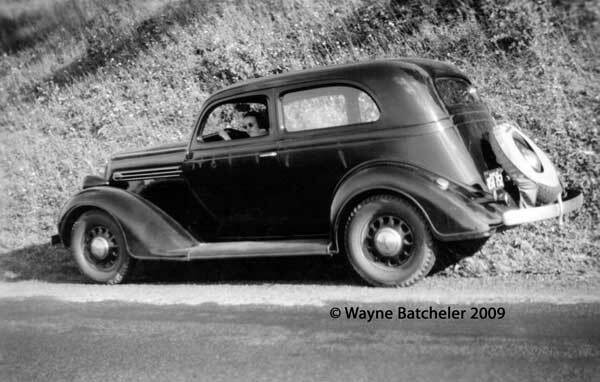 Photo copyright Wayne Batcheler, used with permission, shows his mom at the wheel during his parents’ 1936 trip from Chicago to upstate New York. Guardrail reflected on the door, fabric spare tire cover slightly askew.